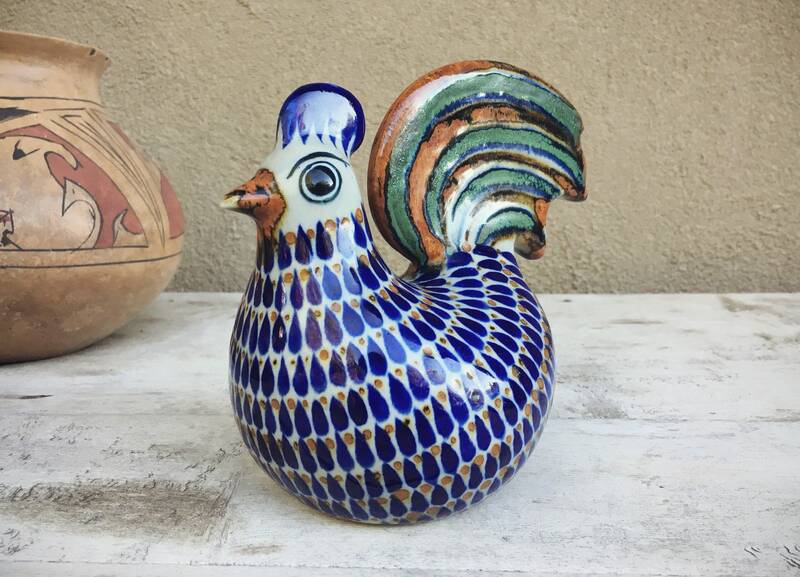 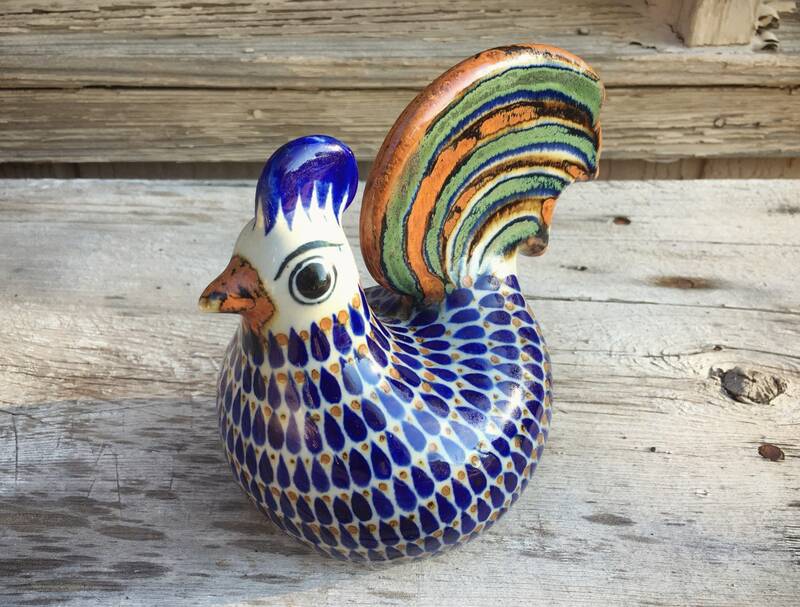 A stunning pottery chicken or rooster from Tonala, Mexico, signed Erandi Mexico, and with an artist signature of a small insect, remiscent of how artists from El Palomar leave their personal marks. 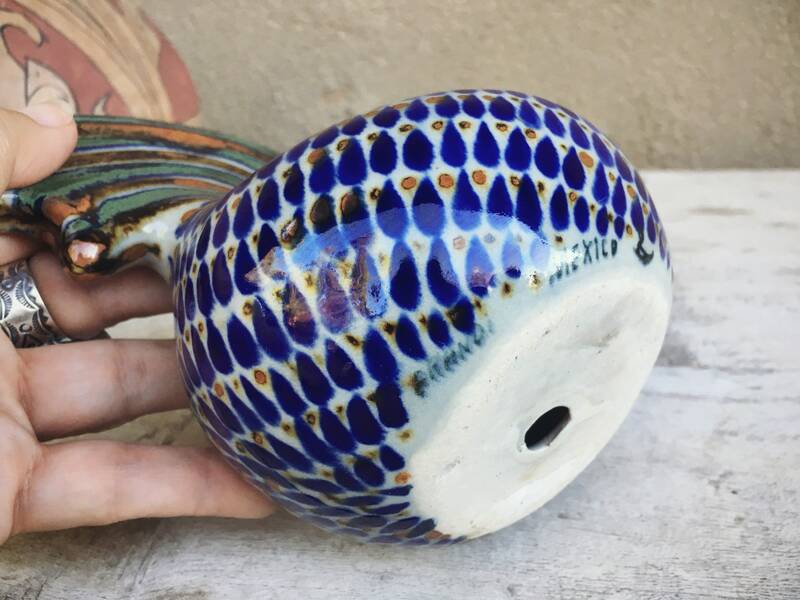 This piece is striking for the repeating teardrop shapes in blue dotted in between with rust brown spots, and the green, blue, and rust plume all against the light gray background. 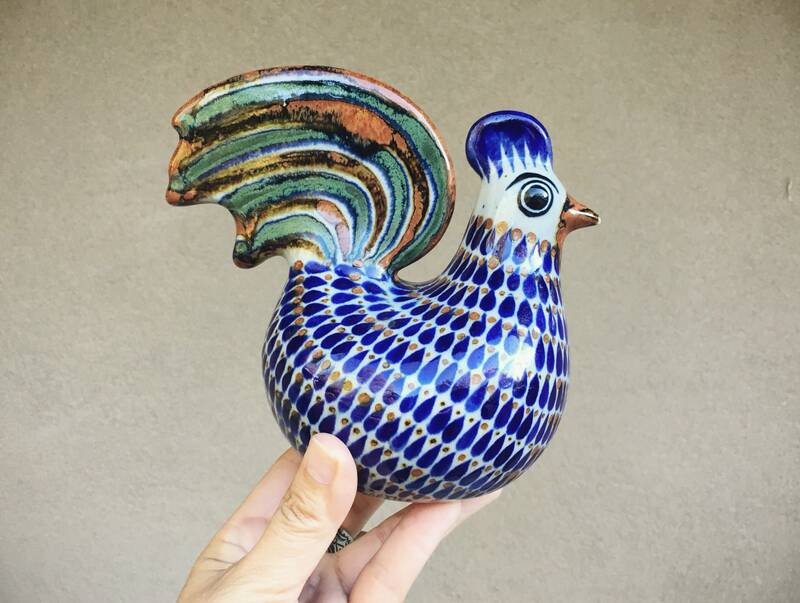 One of the more gorgeous high-fired pieces from Tonala that I've come across. 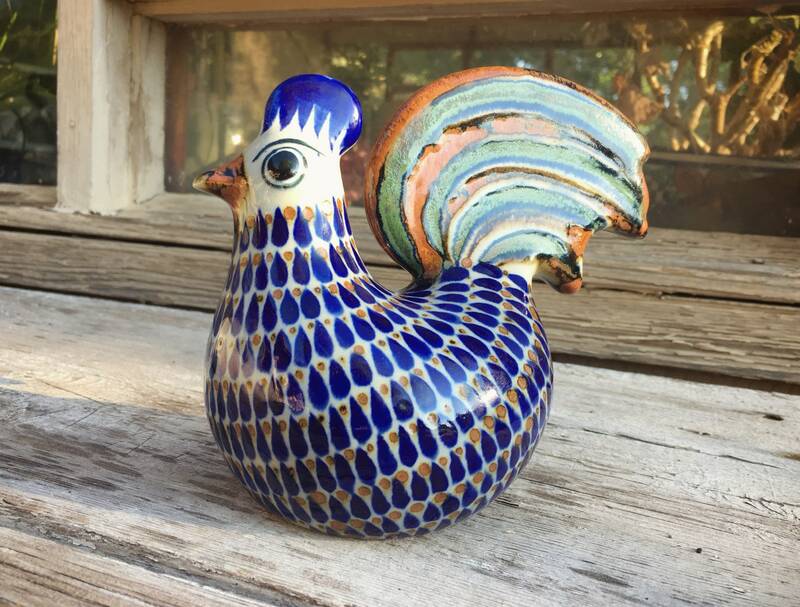 The rooster is about measures about 6" and 6-3/8tip to tip and 4-1/4" deep. 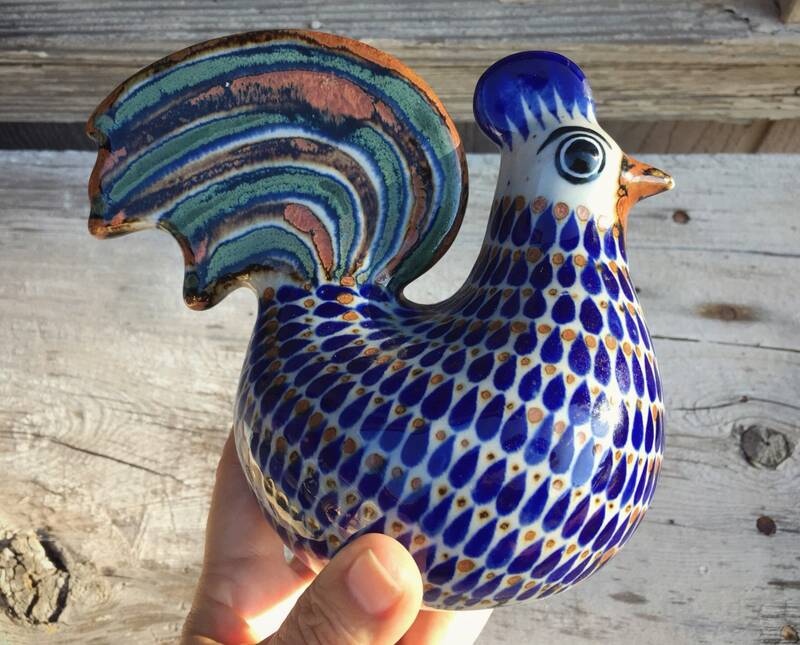 The tip of the bird's beak did not get covered with paint, and so it may in the photos look like a chip; it is not. 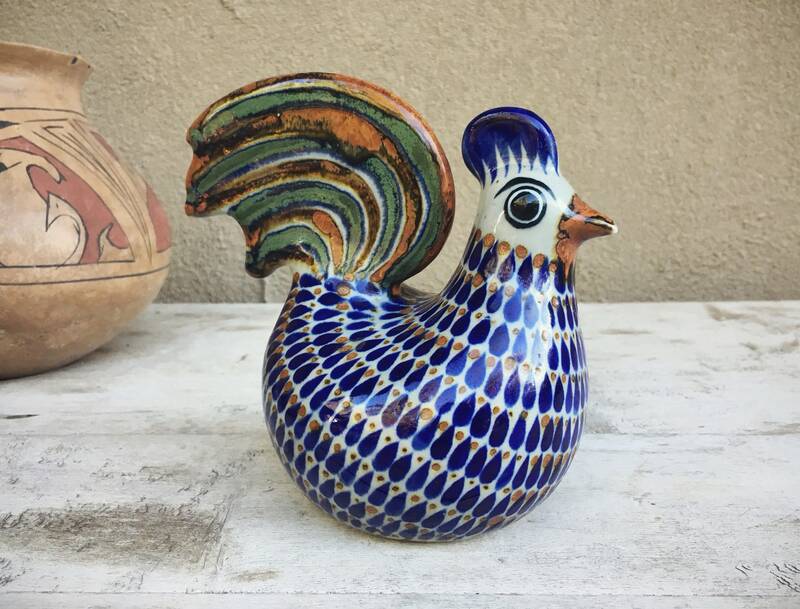 In good condition overall. 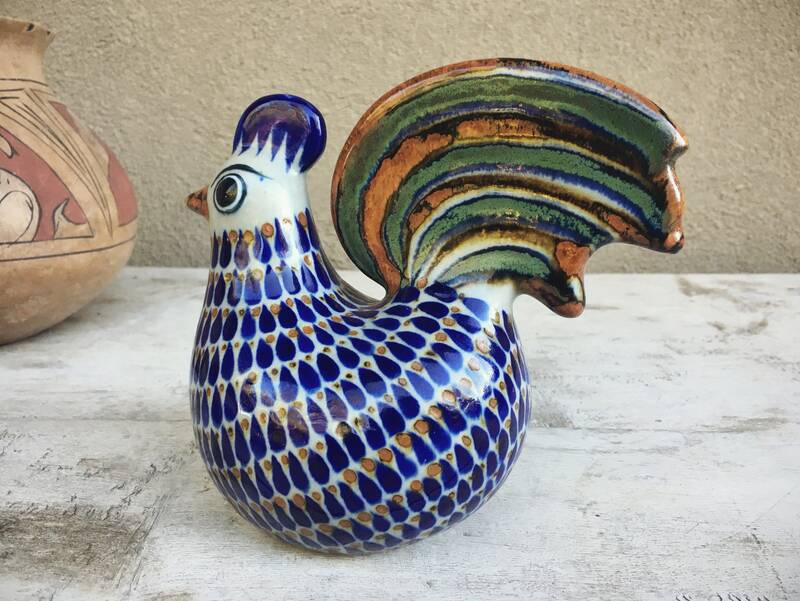 This cocky bird is strutting his stuff!